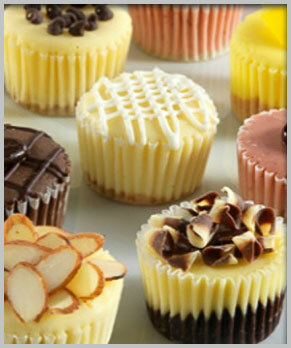 Frozen Cake Variety Packs: One includes Carrot, Chocolate, Apple Spice, and Lemon Poppy Seed. Another includes Lemon Italian, Red Velvet, Carrot, and Chocolate. Coffee Cake Variety Pack includes Sour Cream, Lemon Poppy Seed, Blueberry, and Apple.